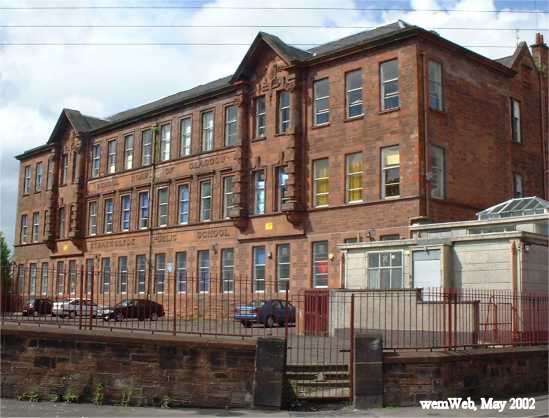 Strathclyde Primary School was always highly regarded in the Bridgeton area and was known locally as the 'Happy school'. It was fortunate in always having a highly committed teaching staff and supportive parents and local business. 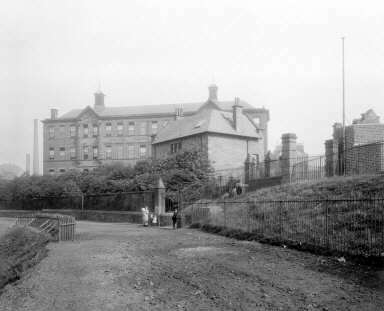 Our local authority closed the school in 1979 to make way for the M74, which has never been extended ! Strathclyde's building has been renovated to accommodate The Strathclyde Business Centre and is now home to many small business ventures. The renovations were carried out by Spectrum Properties who kept many of the internal features intact ,whilst blending in modern ,practical business facilities. Recently there was an open day for FP's and staff to view these changes and to reunite with each other ----excellent, well worth a visit . The East End Independent did a feature on the Open Day. Great old picture, see the picture above which I took in May 2002 practically from the same spot. This picture is taken from the walkway at the River Clyde. A stairway entrance here to Carstairs Street. The house at the front was the janitor's house. "I attended Strathclyde Primary and then Riverside Sec. (left 1961) - Great to stroll down memory lane- remembering all the "wee sayings" games we played etc., I was born in French Street, Bridgeton. Any correspondence from old school mates either at Strathie or Riverside would be great. Love this site." "I am an old ex pupil of Strathclyde Street and John Street Secondary School. I was beginning to give up hope that schools in this area were never showing up. I am delighted and find it very interesting as there are some people who are in my age group and reading their messages brought back a lot of memories. I have just returned from a visit to East Kilbride and made a sentimental tour of the area. So much has changed but they cannot take away the memories. I will be contacting some of the messages I have read..........again thanks for this wonderful website." My late mother was from Glasgow. Her name was Etta Cant. She came to live in Northern Ireland with her mum and dad, aged just 11. She attended Strathclyde Primary School. She was born in 1935. Her pals I remember her telling me were Donald and Kathleen Curdy (or Curdie/Curdey? ), unsure of spelling. 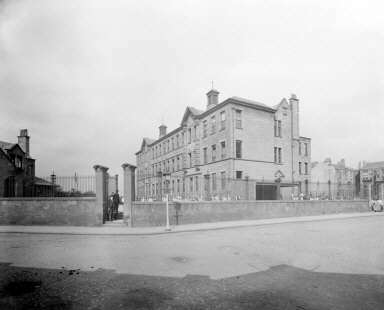 She lived in Carstairs Street in Bridgeton between 1935 and the war ending. Her uncle Davy lived with them at the time, a great electrician apparently. Her brothers were Sam and Bill Cant, sadly now too deceased. Bill was in the army and he also drove buses for Glasgow Corporation. A long shot, I know, just wondered if anyone might remember the family? Thanks!